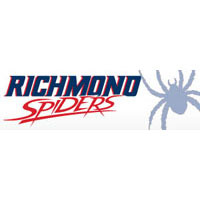 Richmond men’s basketball freshmen Chandler Diekvoss and Kadeem Smithen will be transferring from the program, head coach Chris Mooney has announced. A native of Ajax, Ontario, Smithen played in 23 games in 2014-15 averaging 3.6 minutes per contest and scoring 11 points. He grabbed eight rebounds and dished five assists. Diekvoss came to Richmond from De Pere, Wis., and West De Pere High School. He sat out this season with the intention of redshirting, contributing through scout team practices. The Spiders finished the 2014-15 season with a 21-14 record and a trip to the NIT Quarterfinals. Four of the team’s five starters will return next season.